Currently sitting in third place in the Eastern Conference, the Philadelphia 76ers are assured of their second consecutive spot in the playoffs after a five-year drought. As of April 1, the 76ers had the ninth priciest regular-season ticket on the secondary market, according to secondary ticket marketplace TicketIQ.com. But the $192 average asking price is down nearly 13% from last year’s $220 average. In 2017-18, Philadelphia had the fifth priciest ticket in the league. With a .636 winning percentage, the 76ers are the third best team in the Eastern Conference, and fans can expect to pay a premium for post-season tickets. 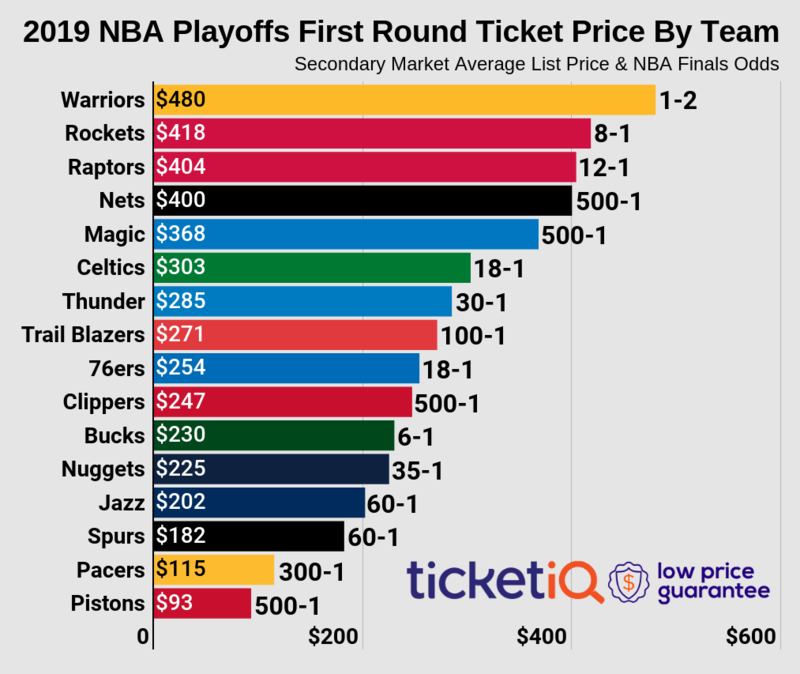 According to TicketIQ, the average asking price for a playoff ticket usually costs fans 54% more than a regular-season ticket. Below is a look at historical secondary market prices for 76ers playoff tickets. But face-value postseason tickets for the 76ers are still available through Shoowin.com, a unique marketplace for tickets. The company offers fans a chance to make reservations for big games, and then purchase those tickets at face value. According to the company website, fans can save up to 98% over other ticket-selling sites. Currently the opening round reservation market is closed, but for later rounds, reservation prices start at $89 for the Eastern Conference semifinals and $171 for Eastern Conference finals. Should the 76ers advance to the NBA Finals and host, reservation prices run between $119 for home Game 1 and $160 for home Game 3. The 76ers are among the NBA’s most dominant teams at home, winning 30 games at the Wells Fargo Center. Philadelphia has been to the NBA Finals nine times since its inception in 1949-50 (when the team played in Syracuse and won the league championship). The team’s last visit to the Finals was in 2000-01, when it lost to the Los Angeles Lakers in five games.